The Dalai Lama pens “Behind Our Anxiety, the Fear of Being Unneeded” for The New York Times. What could be modern man’s most inner need? Some of us may say love, others may say money. However, the Dalai Lama believes man’s biggest need today, simply put, is the “need to be needed.” He says the biggest reason for so much misery in the world is a growing number of people feel they are no longer useful to anyone. In Friday’s issue of the The New York Times, the Buddhist spiritual leader observed that despite all religions preaching peace and love, people still live in fear and uncertainty. Despite this, a lot of hatred and violence is being spread today under the cover of religion. Fear and suspicion of each other is the norm today. 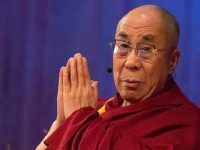 While the Dalai Lama agrees a lot of progress has been made in making lives better by reducing hunger, poverty, suppression of women, and other such issues that once plagued humanity, he insists there is still a lot to be done. He says this is evident from the fact a growing number of people even from rich nations are feeling miserable. Ironically, immigrants and refugees from countries torn by strife and war are struggling to get a chance to live in these very countries. Naturally enough, this raises the question as to why the modern human being is not satisfied. Despite having riches, security and all other basic needs, human beings are still unhappy today. The Dalai Lama believes one area that is important to a person’s happiness, but often goes unnoticed, is his need to be useful to others. The Buddhist leader says when a person lives for others, he is in harmony with all humanity, thereby finding the path of peace and happiness. 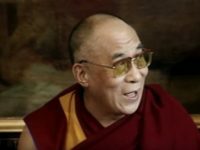 The Dalai Lama backed his observations with research findings showing Americans are twice as likely to be happy when they do something for others. In Germany, it was found men who thought serving is important were five times more likely to be happy. How do we build such a society? The Dalai Lama believes this is possible when we try to be grateful to one another for what we receive. He says it is important for society to create an environment where everyone’s abilities are recognized, and given an opportunity to bloom. Children must be educated and equipped with knowledge, they must be ethical and they must be compassionate. 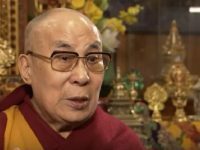 The Dalai Lama believes the world today is not in the condition that it is because man is evil, but rather because man needs to be needed, and today’s society does not satisfy this need.